You Are Here: Home > How Does the Toyota Pre-Collision System Work? The Toyota Pre-Collision System utilizes sensors to monitor the roads around Las Vegas as well as your immediate surroundings. If there’s a potential for a collision, the system provides audio and visual warnings, helps slow the vehicle, and gives you greater control to take necessary action to stay safe. Thus, having this system in your Toyota model makes it safer to navigate Boulder City. How Does the Pre-Collision System Prevent Crashes? Using radar, the system detects possible crashes and even slows down your Toyota to avoid or lessen the impact of a potential accident. The system both alerts the driver to apply the brakes and, once the brakes are in use, braking power increases. This not only helps avoid accidents, but in the event of an unavoidable crash, the Toyota Pre-Collision System makes it more likely that the crash will be less severe. Which Toyota Models Have the Toyota Pre-Collision System? Most modern Toyota models have the Toyota Pre-Collision System included standard as part of the Toyota Safety Sense™ suite of features — however, older model years may have similar features as an available option. Check with Findlay Toyota about the specific model you’re looking at to make sure it has the Toyota Pre-Collision System and everything else you may want. Experience a high-end interior and safety features like the Toyota Safety Sense™ system at an affordable price. 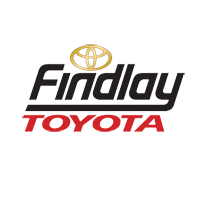 Take one for a test drive at Findlay Toyota today — contact us to schedule your test drive or if you have any questions.